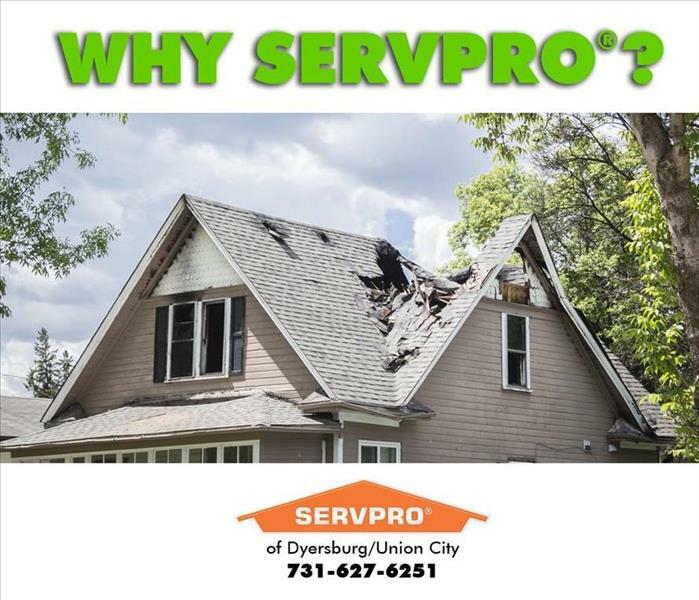 David Caldwell has been the owner of SERVPRO of Dyersburg/Union City, SERVPRO of Weakley, Gibson, Carroll Counties and SERVPRO of Jackson/Crockett County for over twenty-five years. David married his high school sweetheart, Diane. They have been happily married for over thirty-eight years, have three children and seven grandchildren. David and Diane have been in business together since 1991. They started out of the back of a SERVPRO green van over 25 years ago. Fast forward to today and they have two facilities with over twenty employees. David enjoys spending time catching his favorite teams that are the Tennessee Volunteers and the Dallas Cowboys. Diane and David like spending time together traveling and gardening. 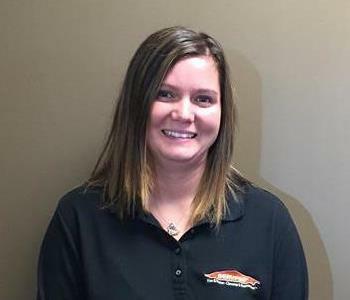 Diane Caldwell is the owner of SERVPRO of Dyersburg/Union City, SERVPRO of Weakley, Gibson, Carroll Counties, and SERVPRO of Jackson/Crockett County for over twenty-five years. David and Diane are high school sweet hearts and have been married for over thirty-five years. David surprised Diane on her birthday with a green SERVPRO van that they used to start their business. 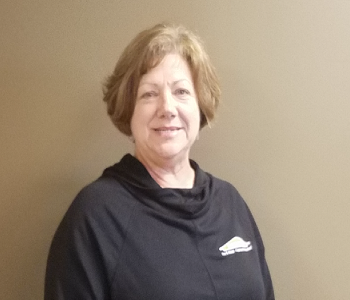 Diane is over all accounts receivables in our company and enjoys spending time on the phone with our customers and the insurance companies we work with daily. Diane one son and a son-in-law working alongside her in the family business. She enjoys spending as much time as possible with her seven grandchildren. Her team looks forward to any time she takes time out to cook for them. We only have two questions when she is going to cook for us. When & Where? Diane and David enjoy spending time together gardening and traveling. 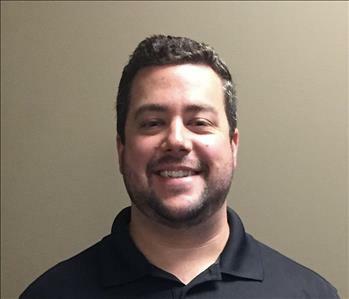 Nathan Moffat is the Construction Manager for SERVPRO of Dyersburg/Union City. Nathan had over twenty years of construction experience before joining the SERVPRO team. He has been married for over twenty-five years, has three sons and one new granddaughter. Nathan and his wife Candy enjoy rooting for their youngest son who plays for the Gibson County Pioneers. If Nathan is not at the football field cheering on his son, he is following University of Memphis football or the Dallas Cowboys. 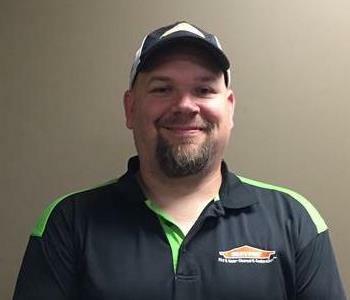 John David has been with of SERVPRO of Dyersburg/Union City, SERVPRO of Weakley, Gibson, Carroll Counties, and SERVPRO of Jackson/Crockett County for over 5 years. John David joined the family business after graduating from the University of Tennessee at Martin with a degree in Business Management. He has also received his IICRC certification. This program teaches advanced cleaning and restoration techniques on the best practices of mitigation. John David has been married to Kristin for over eight years. Their two children Charlie and Olivia are both under the age of five years. John David enjoys spending time with his family, perfecting his beer brewing techniques, playing golf when time permits, and weight training. During football season, John David supports the Tennessee Volunteers and likes to make the trip to Knoxville in person at least once a year. 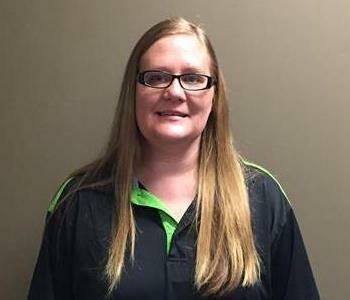 Cathy Hollis has been with SERVPRO of Dyersburg/Union City, SERVPRO of Weakley, Gibson, Carroll Counties, and SERVPRO of Jackson/Crockett County for over twenty-four years. She is the longest-serving member of our Production Team. She has gained a deep understanding of our company and the complexity of our business. Cathy joined our team shortly after Diane, her sister, and David Caldwell began the business together. She is the proud mother of two daughters and she has four grandchildren. Cathy loves to spend time in the kitchen cooking for her family and sewing whenever possible. 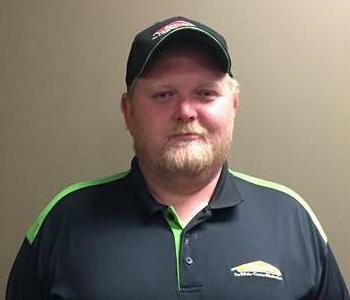 Keith Autry is a construction crew member for SERVPRO of Dyersburg/Union City, SERVPRO of Weakley, Gibson, Carroll Counties, and SERVPRO of Jackson/Crockett County. Keith had over thirty-five years of experience in construction before joining our team over five years ago. When Keith is not at work, he enjoys spending time with his family. He has been married for over forty years and he has two children as well as seven grandchildren. Keith enjoys very much the great outdoors, deer hunting or hitting the open roads on his motorcycle with his wife, but only when they are not chasing around the grandchildren. He always tells his team that he is a blessed man. 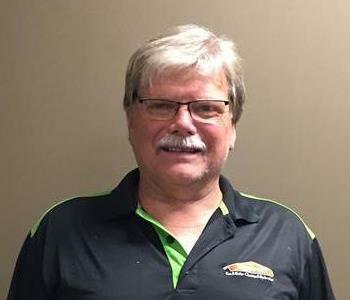 Stan Nunley has been part of SERVPRO of Dyersburg/Union City, SERVPRO of Weakley, Gibson, Carroll Counties, and SERVPRO of Jackson/Crockett County for over three years. Prior to Stan joining our team, he was an insurance agent for over eleven years. He is a graduate of the University of Tennessee at Martin in Ag Business. Since beginning with SERVPRO, Stan has successfully obtained his IICRC certification. This program teaches advanced cleaning and restoration techniques on the best practices of mitigation. Stan enjoys officiating TSAA football, duck hunting, and taking care of his cattle. He loves spending time with his family, especially his nephew, J.T. During football season, Stan is cheering on the Green Bay Packers and he has an annual tradition of catching one game a year in person. Stan also spends time volunteering with the NWTF annual turkey hunt for soldiers wounded in battle. 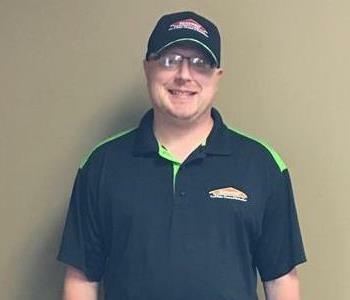 Dustin Murdock has been with SERVPRO of Dyersburg/Union City, SERVPRO of Weakley, Gibson, Carroll Counties, and SERVPRO of Jackson/Crockett County as a construction team member for over three years. He will be a Business Management graduate in 2018 from the University of Tennessee at Martin. When Dustin is not attending college or working part-time at SERVPRO, he likes to spend time hunting. During football season, you can find him supporting his favorite football teams which include the Dallas Cowboys and the Tennessee Volunteers. Dustin has been trained for several years working under the watchful eyes of Nathan, our Construction Manager. However, Dustin does not call him the boss, because Nathan is his Dad. 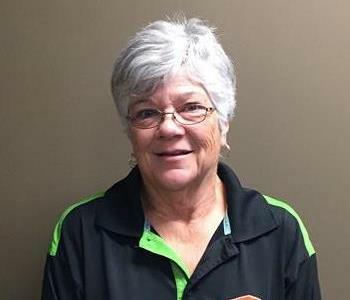 Joyce Flowers has been with SERVPRO of Dyersburg/Union City, SERVPRO of Weakley, Gibson, Carroll Counties, and SERVPRO of Jackson/Crockett County for a few months now. Joyce is a proud mother of two little girls. Joyce and Ben Flowers have been married for over 7 years. She enjoys spending time with her family and going to church. 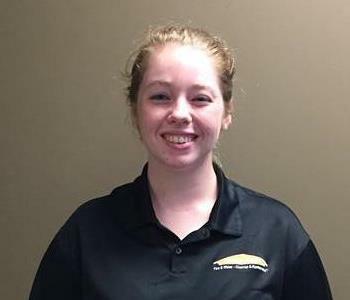 Carlie Bunyard is a member of the mitigation team and has completed our rigorous training. She loves to prepare some southern delicacies such as fried hamburgers steaks, gravy, and cabbage or just macaroni and cheese for her year old little Crayton. Originally from Yorkville, this handy girl loves crafts and “do it yourself” projects. Actually, she designed and decorated the walls for her son. When given some time, Carlie also likes to go horseback riding. She was very attached to her 25 years old Thunder who passed away after more than 5 years of good companionship. Jeremy Patterson is a member of the construction team. He has completed our rigorous SERVPRO Employee Certification Training Program, including courses for Applied Structural Drying Technician (ASD) and water, smoke and fire damage restoration. Jeremy’s favorite teams are Jr. Pioneers and Tennessee Titans. He also loves hunting in his spare time and spending time with his sons Jordan and Ryder and baby girls Presley and Kyndle. This Trenton native also loves to share a good meal at Outback Steakhouse in Jackson, TN, with his wife Cherie. Mike Jeter, a member of our mitigation team, has completed the IICRC certification as Water Damage Restoration Technician. This Jackson native coaches little baseball league for his kid's team. He also enjoys sports, video games, archery, darts, and pool. Interesting fact about him: Mike used to be a rapper and music producer. A Tennessee Titans fan and a veteran, Mike also enjoys visiting his favorite restaurant Chili’s accompanied by his wife Heather and his two sons, Logan, 9 years old, and Jordan, 7 years old. Steven Ledbetter is a member of our construction team since May 2017. Originally from Collinsville, Illinois, he has lived most of his life in Yorkville, Tennessee. In his free time, he watches the Tennessee Volunteers, reads the Bible and even preaches once in a while at his local Laneview Baptist Church, in Kenton. Steven likes spending time with his wife Lora and his sons Hunter and Steven. Nevertheless, enjoying a hibachi grill with Mongolian sauce at China Pan in Jackson is an exclusive activity with his youngest. Steven confesses a little weakness for Twix, just the right amount of chocolate to sweeten the palate. This Dyersburg native lived for about five years in Clarksville and has moved back to Dyersburg in 2017. Since then, she has been part of our mitigation team and has completed our rigorous training program. Her 15-year-old daughter Page loves to ride horses and wants to become a veterinarian; while her 7-year-old son Mason enjoys playing baseball. Most of Angela’s spare time will be dedicated to her kid's activities. However, Angela also enjoys very much getting into some craft projects like painting furniture. Her husband has Italian roots and takes a lot of pleasure cooking for the family anything Italian, especially pizza. Angela is also active in her First Christian church and has volunteered for several projects. During the summer it's important to stay safe from the sun when you're working in the elements.